Custom Renovations to Create an Open Space. 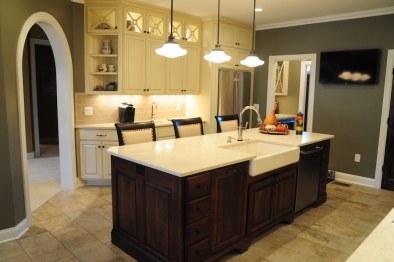 Our returning client wanted to make their existing kitchen more open and inviting for entertaining. 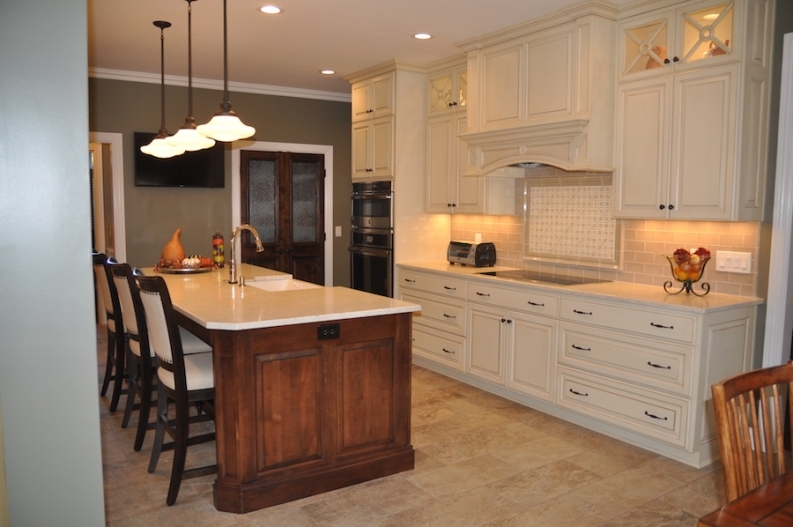 We closed in some walls and installed all new custom cabinets in both the kitchen and butler’s pantry. We also opened up additional wall space to improve the overall flow. The client chose new pendant lighting along with recessed lighting, under cabinet lighting and puck lighting in the glass upper cabinets. New backsplash tile and counter tops along with new appliances and tile flooring completed the new design. 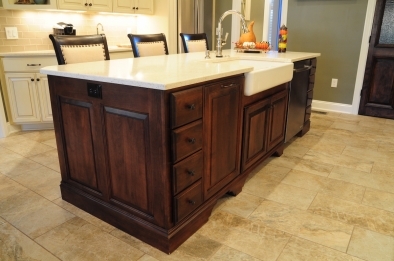 A custom designed pantry door matches the island finish.